As a part of my family binder, I created a couple of fun Post-it Brand projects. I love how they turned out. 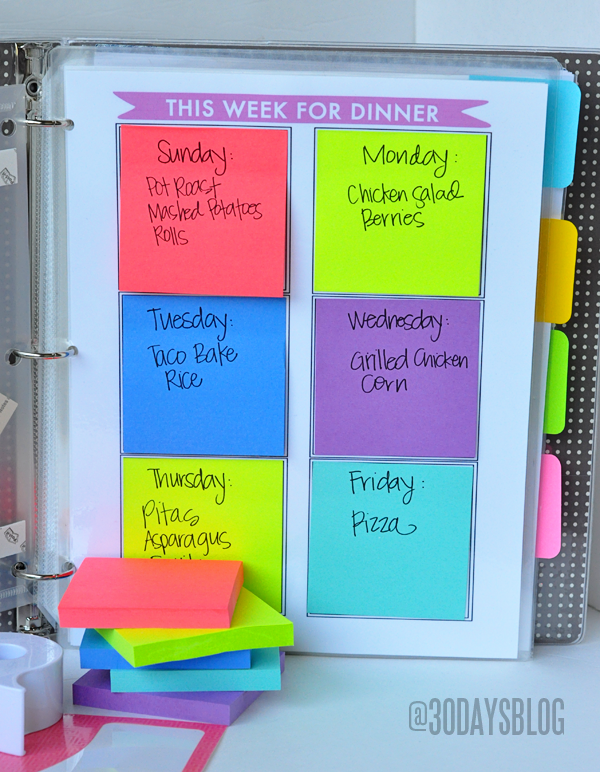 The idea is simple- create a grid where the Post-it Notes can be replaced weekly. The first printable is based on meal planning. By making a “This Week for Dinner” grid, I am more prepared for the week ahead. Once a week I sit down to make a menu. I then write the items for each day and refer to that for my grocery shopping trips. Notice there are only six spots- I take Saturday off! I used Post-it Notes throughout my Family Binder in a variety of ways because they are versatile and easy to use. They were great for this Post-it Notes Grid and fabulous for attaching small notes on the calendar portion of my binder. I am in with love the bright, colorful and fun new colors that the Post-it Brand is offering. Don’t they just make you happy? To have easy access to pens and binder necessities, I attached a Post-it Pocket on the inside of my binder too. 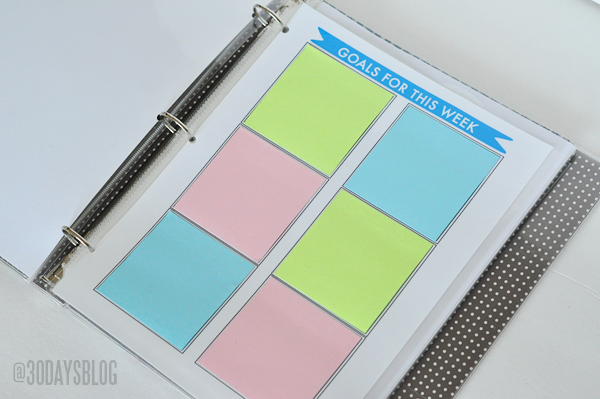 The other version that I made is for a weekly goal grid. It’s the exact same idea but with realistic, small goals that I want to accomplish for the week. For this one I used Post-it Greener Notes. These Post-it Greener Notes use recycled material. Functional and sustainable = win/win! I like having the goals written down so that I can refer to them. Print the grid on plain white cardstock. You can then laminate the print or use a sheet protector. Standard Post-it Notes fit perfectly in the squares on the grid. 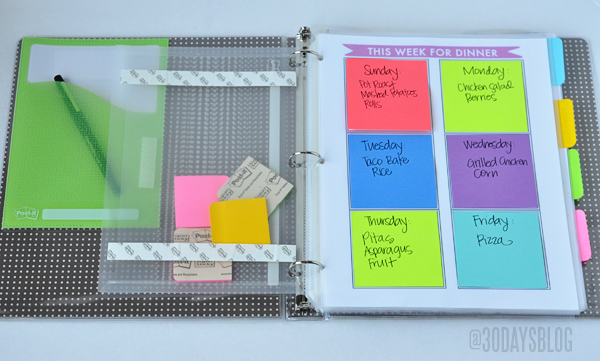 You can then change out the Post-it Notes weekly in your binder. Disclaimer: Post-it Brand provided me with product and compensation for this post. I am thrilled to work with a company I 100% believe in . As always, all thoughts and opinions are my own. 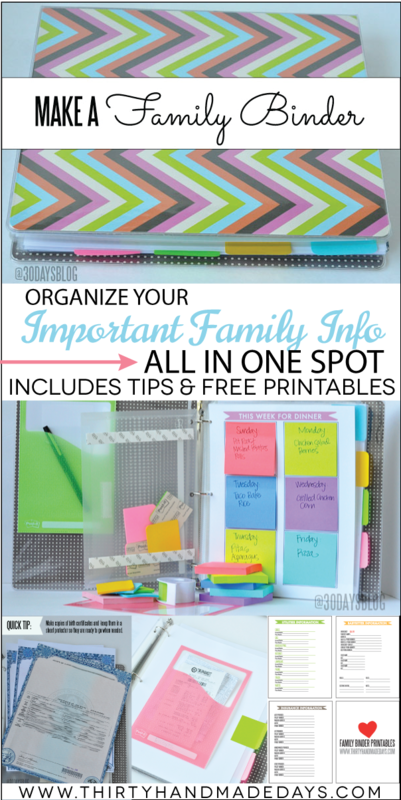 Love both of these organizational aids! Although I probably wouldn’t use a binder, I will put these two sheets back to back in a page protector to help organize and keep me focused each week. Thanks so much for sharing this! You creative young ladies never cease to amaze and inspire me. Thank you so much for offering these wonderful printables and ideas! I can’t wait to make one for my family and think I’ll make one for my aging parents as well. Very kind of you do do this. I love this! I brought a planner this year through ETSY but the resources that you have provided are more practical and I can organize them as I need to fit my daily life. I also have the monthly meal planner decal on my refrigerator. I used it faithfully for two months and slowly stopped. However, having it in my binder on the go and done weekly is more practical. 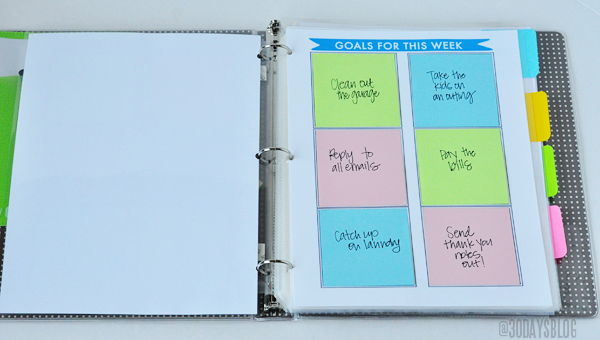 Do you offer the post-it grid projects for the mini binders (possibley) with the smaller post-it??? I love your printable Mique. I have printed and started to organize the mini budget organizer. Is there anyway I could just get the weekly meal sized for the mini? I love it is small enough to put in my purse. Next project for me is a family binder and I can’t wait to start that either. I can’t wait to get organized. I love the colors but I think if I laminated the grid, writing on it with a dry erase marker would save a lot of post it notes. I love this! 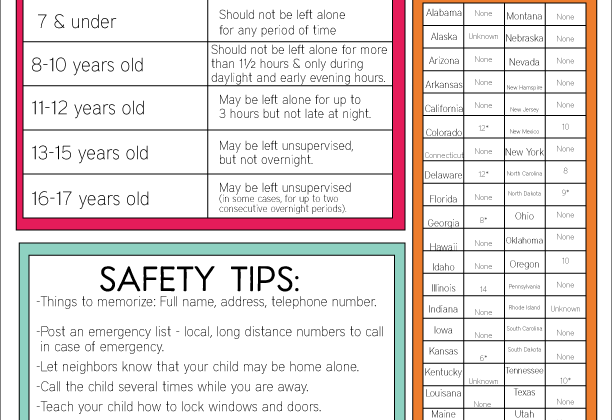 I was also thinking that laminating these and magnetizing them to the fridge would make them visible and accessible :-) Thanks for the ideas/printable. I have improved my family planner with your notes, but I also include copies of our SSI cards, Copies of all cc – in case of theft; all cc login information – incase the other needs it :) Hope this helps! I found this post from Pinterest. I’m in the process of making a home binder for my family and felt like there was always something missing until I found your Goals sheet! Just what I’ve been missing! Thanks for the inspiration. Quality content is the important to attract the people to pay a visit the web site, that’s what this site is providing. I was suggested this website via my cousin. I’m not certain whether or not this post is written by way of him as no one else recognize such designated about my difficulty. You are wonderful! Thank you! 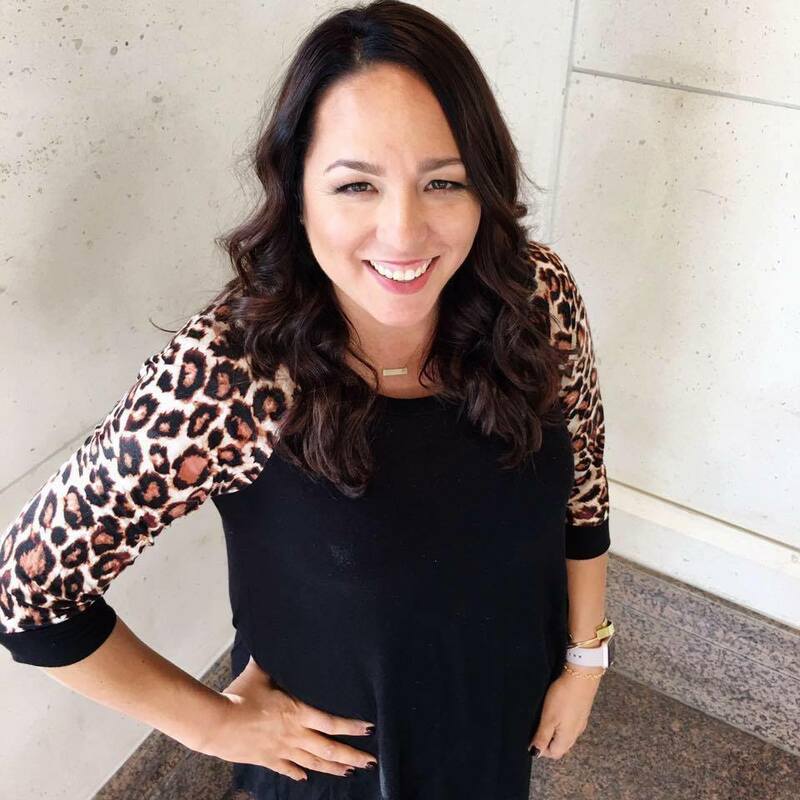 Thanks for linking up to Life Inspired Mique! My readers are going to be one organized bunch thanks to you :). Very practical, indeed, colorful too! hopping from Craft-o-maniac link up. This is fantastic Mique – thank you so much for sharing all of your ideas and printables so generously – you are making my life sooo much easier! I can’t wait to start my binder! Great idea! I love post it notes to organise as putting one idea down at a time seems so much easier than working through a list. I’d never thought about putting them in a binder though … I feel a new project coming on! Thank you. I love all your post-it printables. This grid idea is genius! I could so use this Mique! You rock girl. This is a genius organization idea…I love how simple it is! 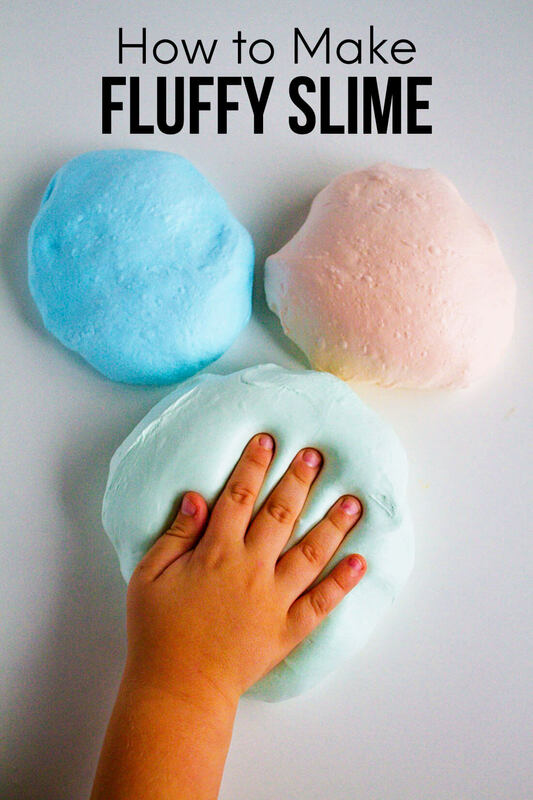 This would be perfect to link up to my Create It Thursday post…it’s live now! Thank you so much for this great idea. I am recently retired and trying to find a way to organize my time, so that I don’t waste my free time! I love post it notes. Thanks so much Peggy! Congrats on your recent retirement! I love Post-it Notes too! Thank you so much for the great ideas and for the printables! I LOVE Post-It notes; I’m thrilled to have a new way to use them!! Mique this is such a simple and brilliant idea! I am so unorganized and THIS looks like a system that would work for me! Thanks Kim! I’m with you- usually very unorganized. If I can do it, anyone can. this is so smart, Mique! you are so organized & have given me such great ideas. i love post-it-notes!!! Thanks Kellie! Ha- I have you fooled! I am not so organized. But Post-it products have helped. Love them too! This is really how I think and work, love this! Love this idea! I’ll be doing this for our meal planning. Thanks! Mique – rhia is such an awesome idea. I can’t wait to make a binder for our family.